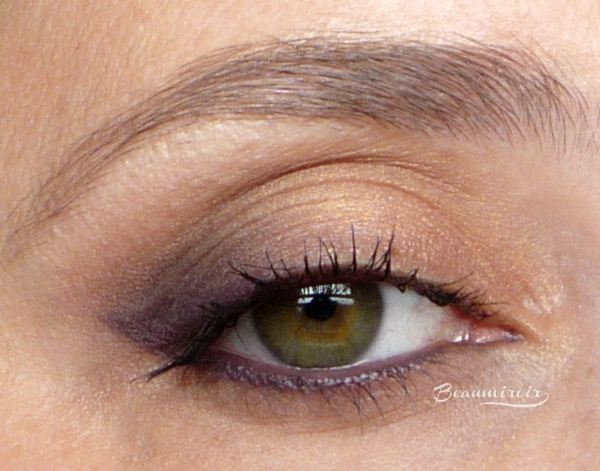 Peach and purple is one of my favorite shade combinations to wear on the eyes (with aqua blue and beige/brown, can you tell from the blog design? ;p). 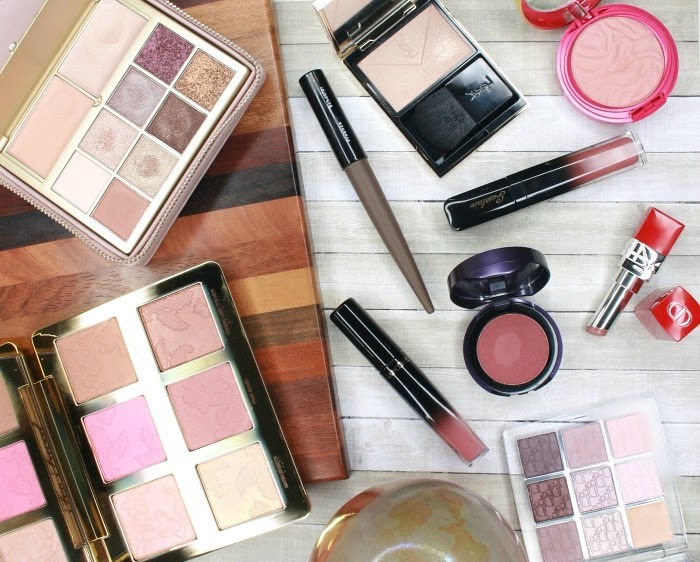 There's something about the association of orange-y colors with purples that gives an instantly sultry, sophisticated look, and it's the perfect combo to make green eyes pop. 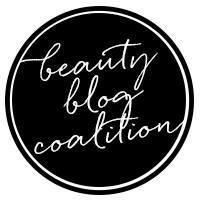 It doesn't have to be neon or very saturated, and it can actually be turned into soft, wearable day makeup. 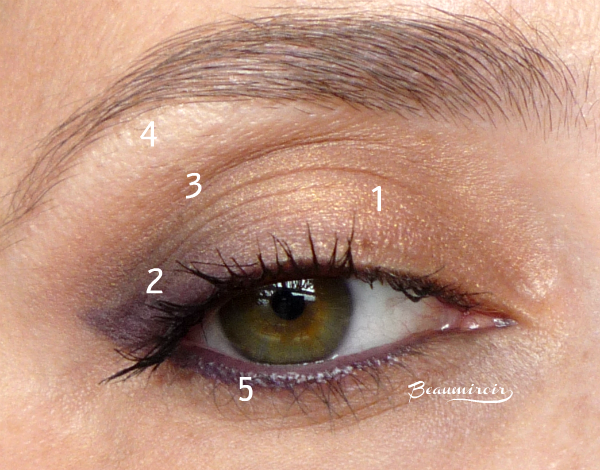 Today I want to show you a very easy peach/purple eye look that I created with my Double Exposure Palette by Smashbox, in 5 simple steps. We're going to use 4 shadows from the palette: Quartz, a shimmery peach; Temper, a cool purple with a satin finish; Fig, a matte plummy brown; Veiled, a light beige with a satin finish. If you don't own this palette, just use the most similar shadows you can find in your stash. Use your favorite eyeshadow base to prime you lids, and let's get started! Step 1: apply Quartz, the peachy shade, all over the lid up to the crease, using a flat shader brush. 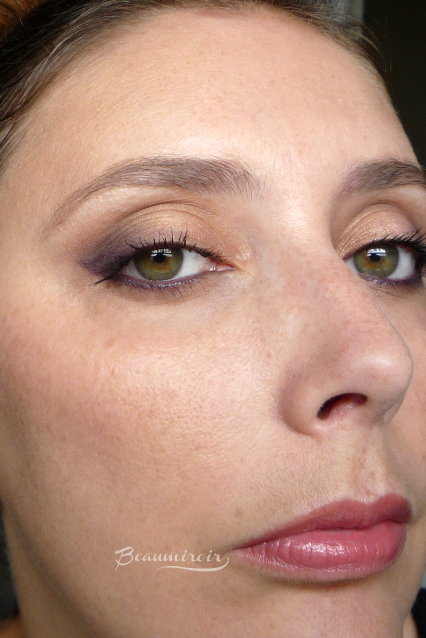 Step 2: apply Temper, the deep purple shade, to the outer corner of your eye, and blend into Quartz with a fluffy brush. Step 3: apply Fig, the matte plum, in the crease with a dome brush. Start from the outer side of the eye, just above Temper, and blend inwards, only about 2/3 of the way (you don't want your crease shade to go all the way to the inner corner). Step 4: with a fluffy brush, apply Veiled to the brow bone, blending it with the upper edge of Fig, your crease shade. Step 5: we're going to line the eye using Temper wet. The Double Exposure palette is made to be used wet or dry, so the shadows don't get damaged by water. If you're using a similar shade from another brand and you're not sure if you should use it wet, try to only touch the surface with your damp brush in a corner of the pan, so your entire shadow won't be ruined if the texture hardens. For that step, I use a synthetic angled liner brush. 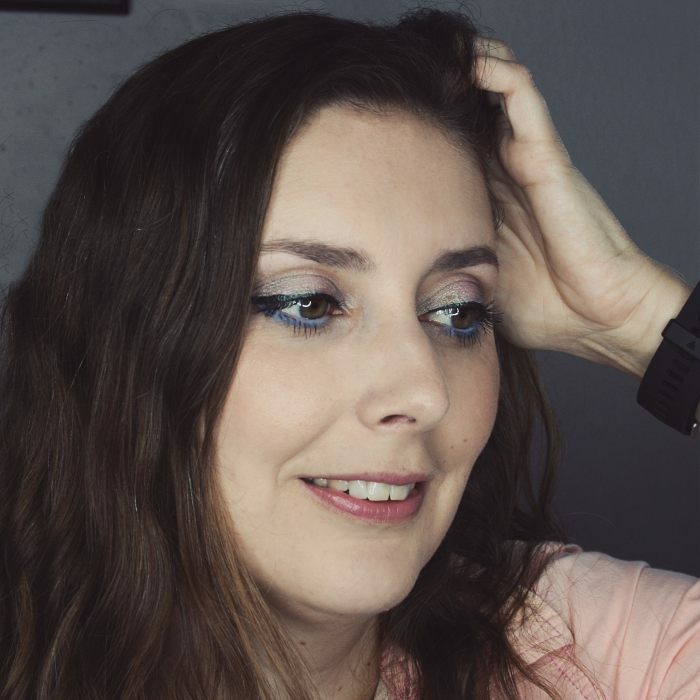 I dampen it with tap water (you could also use something like MAC Water Base Mixing Medium for extra intensity and wear), push the brush hair against my hand a few time to remove excess water, and run it back and forth over Temper to pick up a good amount of shadow. Then, I line both waterlines and the lower lash line. I also line the outer 3rd of the upper lashes and finish with a little flick in the outer corner (you can line the entire upper lash line too). Finish with your mascara, et voilà! The photos don't do it much justice, but Temper becomes almost shimmery when used wet. For a more dramatic look, you could also line the upper lashes with a purple pencil or liquid liner. I have almost no fallout with the Double Exposure palette, and on top of a base, the shadows wear all day without any fading or creasing. Where to buy? Smashbox Double Exposure palette is available from a variety of retailers, check their prices below. Subtle and pretty, great for summer. Thanks! I think that's a look that would look great on you too! Oh I haven't tried this color combination before. I always pair purple with black or gold. Peach will definitely be softer. Thanks for sharing! It's beautiful. Yes it makes a nice softer day look, you should try! Pretty! I like that pop of purple in there, makes it interesting! It creates a nice contrast with the peach, they're almost complimentary colors (blue is opposite the color wheel from orange so depending how blue-based your purple is, it will really pop even more). Hey Lulle, what a beautiful look! I have a peachy shade or two like that which I don't wear enough. I have no idea why, because each time I wear them I'm pretty happy! Never tried to pair them with purple tho. Thanks for the inspiration! You should try, I think it would look great on you! Such a pretty soft look! That peach shade is too pretty! Its soft shimmer is very flattering. I haven't tried it wet yet, but I think it gets more intense and sparkly.